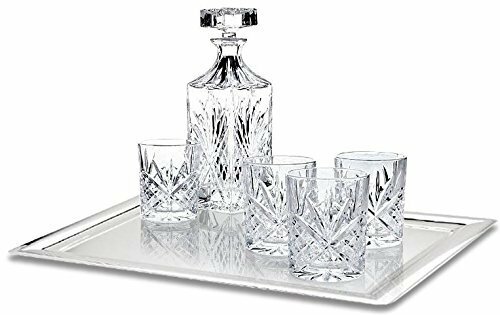 Set includes a Decanter, 4 DOF glasses and a tray. Perfect in a gentleman’s study, this distinguished set gives pause to everyday life and beckons you to take a break. Whether you fill the stylish decanter with 12-year old scotch for a get-together with friends or orange juice after a round of golf, it’s a happy and hospitable way to pass the time.